The 45-year-old was found dead at his apartment on Sunday. 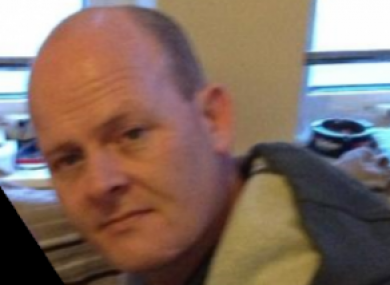 A SECOND MAN has been arrested in connection with the murder of Limerick man Martin Clancy. The first arrest took place at around 8pm last night in Cork city when gardaí apprehended a man in his 20s on suspicion of murder. The second man, aged in his 40s, was arrested late last night on suspicion of impeding the murder investigation. Gardaí are continuing to question both men. Clancy’s body was discovered in his flat on Little O’Curry Street in Limerick city last Sunday. Gardaí have not released details of the post-mortem examination, but it’s understood he suffered a number of stab wounds. Clancy’s remains will lie in repose at Thompson’s Funeral Home on Thomas Street in Limerick from 5pm-7pm on Sunday. His requiem mass will take place at 11am on Monday in Corpus Christi Church, Moyross. Clancy, who was 45 and is survived by his parents Joe and Mary and seven brothers, will be laid to rest in the Mount Saint Lawrence Cemetery extension. Email “Second man arrested in connection with Martin Clancy murder ”. Feedback on “Second man arrested in connection with Martin Clancy murder ”.